Travelodge Ireland is the number one chain of value hotels in Ireland. Travelodge Ireland is the number one chain of value hotels in Ireland, with hotels in Dublin, Cork, Waterford, Belfast, Derry, Galway and Limerick all offering our guests a great night's sleep at an unbeatable price. 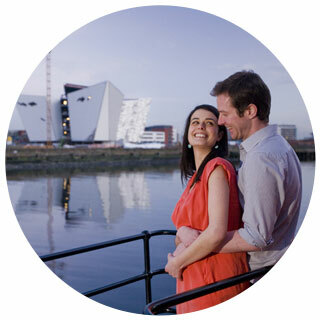 Take a Belfast City Break with Travelodge Ireland Hotels. The Travelodge Belfast Central Hotel is the Best Place for a Comfortable Budget Stay. Film Production in Ireland boosts Irish Tourism in 2019. Enjoy a Budget Stay with Travelodge Ireland Hotels near Top Movie Locations. Our brand new SuperRoom option is the perfect choice for added comforts. Designed with you in mind, our SuperRooms offer blackout curtains and mood lighting for a restful night’s sleep. To help you wake up refreshed all our SuperRooms feature a Hansgrohe Raindance 3jet adjustable shower, an iron & ironing board and a Lavazza A Modo Mio fresh capsule coffee machine. All of this, combined with a stylish new room design.